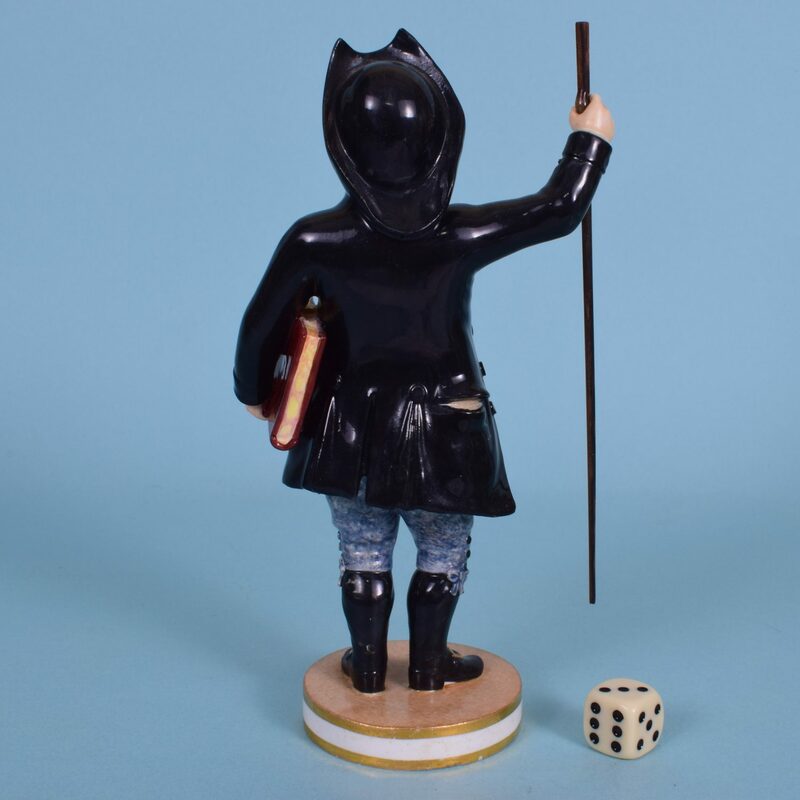 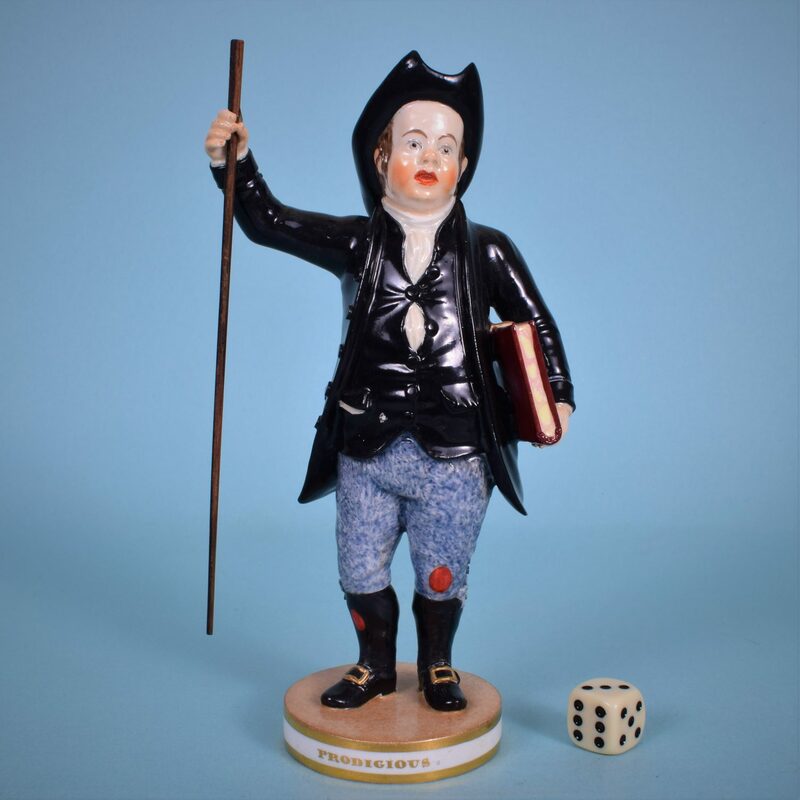 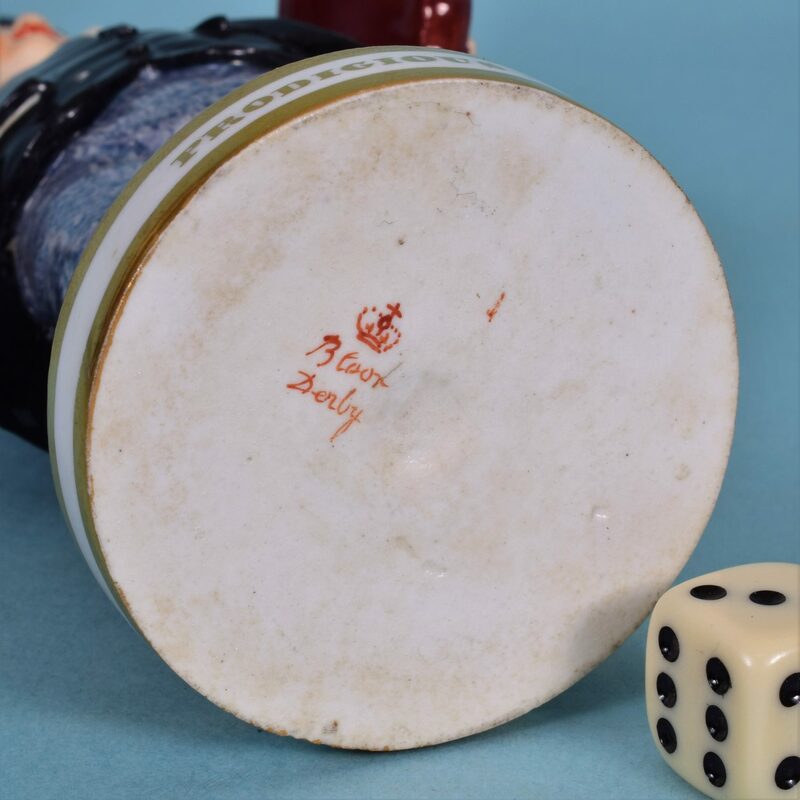 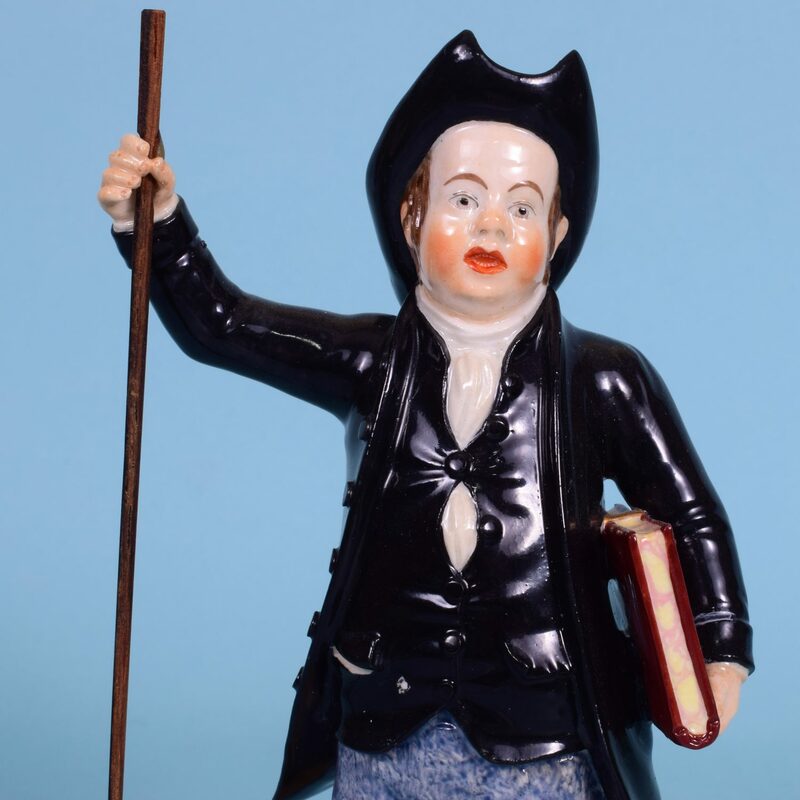 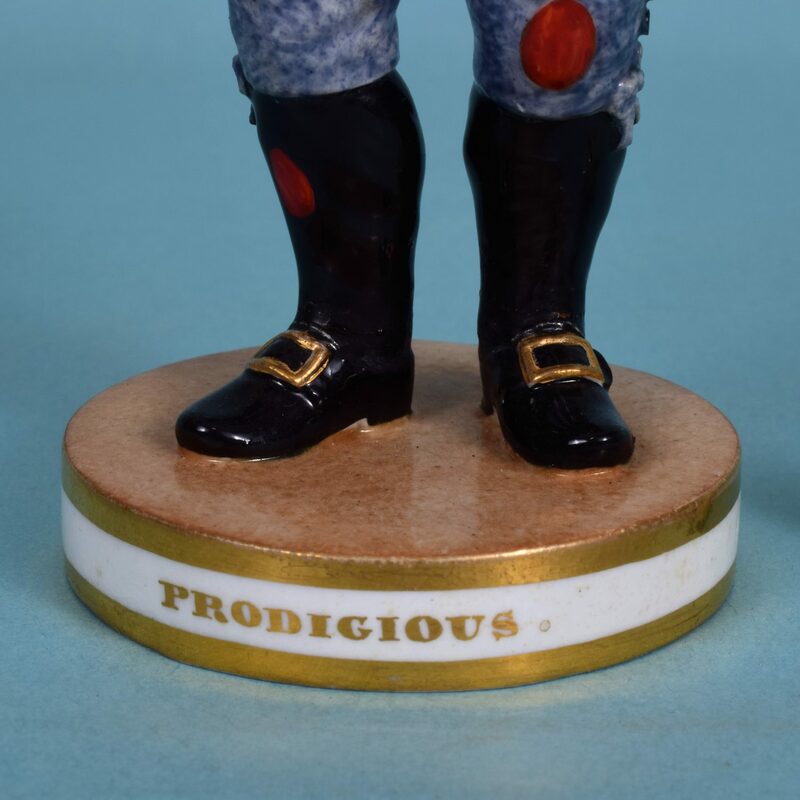 A very scarce Bloor Derby porcelain figure of the actor John Liston as Dominie Sampson, the front of the circular base inscribed ‘Prodigious’ in gilt. 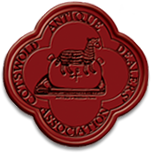 ‘Bloor Derby’ in red script with a crown. Condition : Restored break to ankles.